The 1925 – 1926 NHL season was the ninth season of the National Hockey League (NHL). The NHL dropped the Hamilton, Ontario team and added two new teams in the United States of America (US), the New York Americans and the Pittsburgh Pirates to bring the total number of teams to seven. The Ottawa Senators were the regular-season champion, but lost in the NHL playoff final to the Montreal Maroons. The Maroons then defeated the defending Stanley Cup champion Victoria Cougars of the newly renamed Western Hockey League three games to one in a best-of-five series to win their first Stanley Cup. The 1934 – 1935 NHL season was the 18th season of the National Hockey League (NHL). Nine teams each played 48 games. 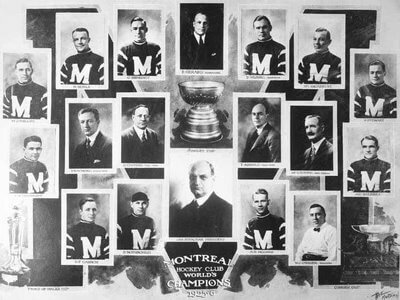 The Montreal Maroons were the Stanley Cup winners as they swept the Toronto Maple Leafs in three games in the final series. The league allowed the Maroons to suspend operations for the 1938 – 1939 season. The Maroons’ owners tried to sell to interests in St. Louis, Missouri. Earlier in the decade, St. Louis proved that it could support NHL hockey when the Ottawa Senators moved there to become the Eagles. However, while the Eagles had drawn very well, they survived only one season, due to the high costs of traveling to Boston, Montreal, and Toronto (the Eagles had assumed the Senators’ place in the Canadian Division in defiance of geographic reality). The league was not about to give St. Louis another chance, given the economic situation of the time. At the 1945 annual league meeting, held on September 7, it was noted that the backers of the Maroons franchise were in discussion to sell to a group from Philadelphia fronted by Canadiens board member Len Peto. The league governors were prepared to approve the transfer, provided the Philadelphia group could prove they had the necessary funds for a hockey team. They also made sure to clarify that the Maroons franchise rights would expire in April 1947 unless something were done with them. The Montreal Maroons (officially the Montreal Professional Hockey Club) were a professional men’s ice hockey team in the National Hockey League (NHL). They played in the NHL from 1924 to 1938. Maroons – At the time of their founding, the Maroons had no nickname. The Maroons’ president James Strachan had been the owner of the Wanderers in the 1900s. He attempted to secure the Wanderers name, but negotiations failed, so the club was known by its official name, the Montreal Professional Hockey Club. The Maroons nickname was eventually picked up by the media, after the color of their jerseys. 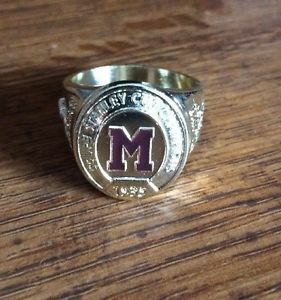 The club never officially changed the organizational name to incorporate the Maroons name. 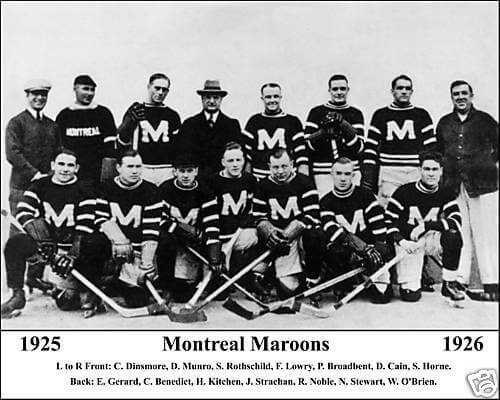 The Montreal Maroons (officially the Montreal Professional Hockey Club) were a professional men's ice hockey team in the National Hockey League (NHL). 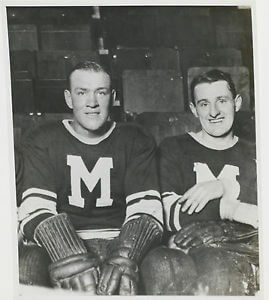 They played in the NHL from 1924 to 1938.